Owing to the current cash crunch, we have seen an unprecedented increase in money transfer transactions using Paytm. Over 850,000 merchants & 30mn users have used our services in last 3 days to purchase their daily needs, including groceries, household stuff, transport, petrol among others. We understand that some merchants & users want to transfer that money back to their Bank accounts from their wallets for their other needs. Previously, customers & merchants that had completed their KYC could send money to bank at 1% without any waiting period. Customers & merchants that had not completed KYC had to pay a 4% fee & wait for 45 days after creating their Paytm account before they could send money to a bank account. Starting tonight, all Paytm customers & merchants will be able to send money from their Paytm wallets to any bank account at a flat fee of 1%. Also note that there are no charges at all for sending money between Paytm Wallets. It continues to be free for all our users. This change will be applicable for all Paytm wallets including the ones who have not completed the KYC formalities. Our merchants & partners will also be able to avail this facility at a flat charge of 1%. 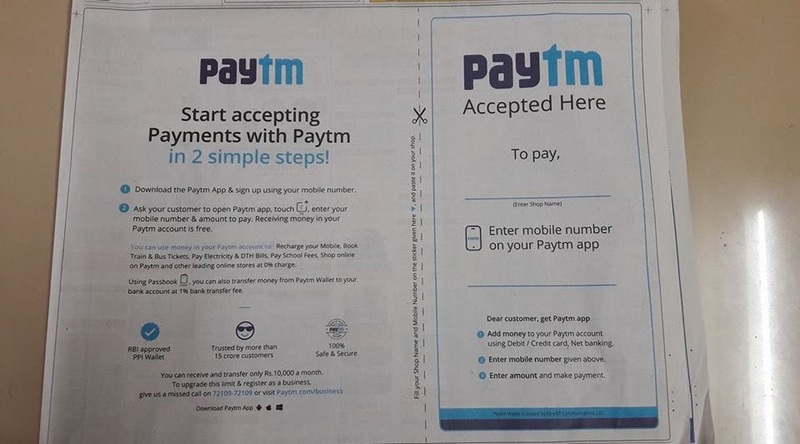 New Paytm customers have to wait 3 days before sending money to a bank account, however, if KYC formalities have been completed, then they can send money to any bank account immediately without any waiting period. This is our small step to help our partners & users to overcome their liquidity issues. Please note this is a limited period offer and rates may be revised upwards.